Head coach Mike Riley once again broke the weekly tradition of waiting until Thursday to speak with the media to address quarterback Tommy Armstrong Jr.’s status a day early. While Armstrong dressed out for practice, he remains questionable for Saturday’s matchup with Maryland. As for Nebraska’s game plan in Armstrong’s absence, it’s also remains similar to last week. Offensive coordinator Danny Langsdorf said Ryker Fyfe is getting snaps in Armstrong’s place, with Zack Darlington backing him up. "It is a little bit like last week where we have to plan with Ryker playing," Langsdorf said. "The nice thing is that Ryker has had a lot of good work from last week and this week, so it is comforting that way. We will have to play it by ear." Armstrong’s status will likely not be clear until Saturday. >> Riley didn’t just update Armstrong’s injury after practice. He also commented on center Dylan Utter’s status for Saturday. Michael Decker and Cole Conrad have been taking first-team reps in Utter’s place while he’s sat out of practice. >> Langsdorf spoke a bit about the Huskers’ ability to rally late in games. He said he’s also been impressed with the team’s ability to put together strong drives when needed toward the end. 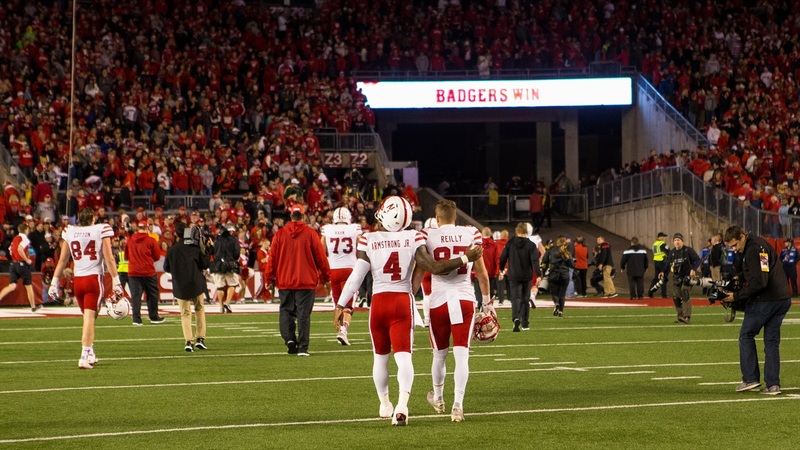 "I just think that we have been a good fourth quarter team,” Langsdorf said. “It has really been a deal where we have been able to finish strong with some solid runs. We have handled those tight games in those fourth quarters where we have needed a drive or two and put one together." >> For wide receivers coach Keith Williams, Brandon Reilly, Jordan Westerkamp and Alonzo Moore have all been great to work with and coach. >> While Armstrong is currently thinking ahead one day at a time, he did admit it’s surreal that his time at Nebraska is coming to an end. >> Westerkamp said he expects a lot of his family to be in Lincoln on Saturday. He’s had to ask around for additional tickets to accommodate everyone in town. As he spoke about Saturday, he also reflected on the support his family has shown not only him but also his teammates during his time at Nebraska.